It used to take a room full of software gurus to take care of a corporation or event’s projection mapping needs, but no longer. TABULA Natural Interfaces, an Italian Startup company in the field of projection mapping, is proud to introduce FaçadeSignage – the easy video mapping software. What is projection mapping? 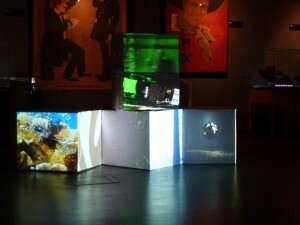 Projection Mapping is a software technique that is used to transform any object or structure into an augmented reality surface, just using a video projector. You’ve already seen it on display at major events, used for building projections, and at major music or dance festivals. This is the first time that the technology has been available in a simple to use format that any business can operate, and hundreds of customers have already taken advantage of this opportunity and purchased the software online. Get your hands on the software that Bruce Sterling told Wired magazine is so simple even “ad men can use it.” In fact, “ad men” from major corporations such as Microsoft, BMW, Fraunhofer Instutute, Volkswagen, and many A/V rentals and schools all around the world are already using it. What could your organization use projection mapping for? FacadeSignage is available now online. With projection mapping this simple, it is time to put this technology to work for you. Really informative. I just read this article: Pernod Predicts China Improvement as Inventories Improve. Read it here http://bit.ly/1ieJpiO.